*I paid for all of my Curlee Boxes, sometimes at a discounted price. I did receive a small payment for the purchases made using my code. This however does not affect my thoughts on the service and products within the boxes. Firstly, Happy New Year Peeps!! 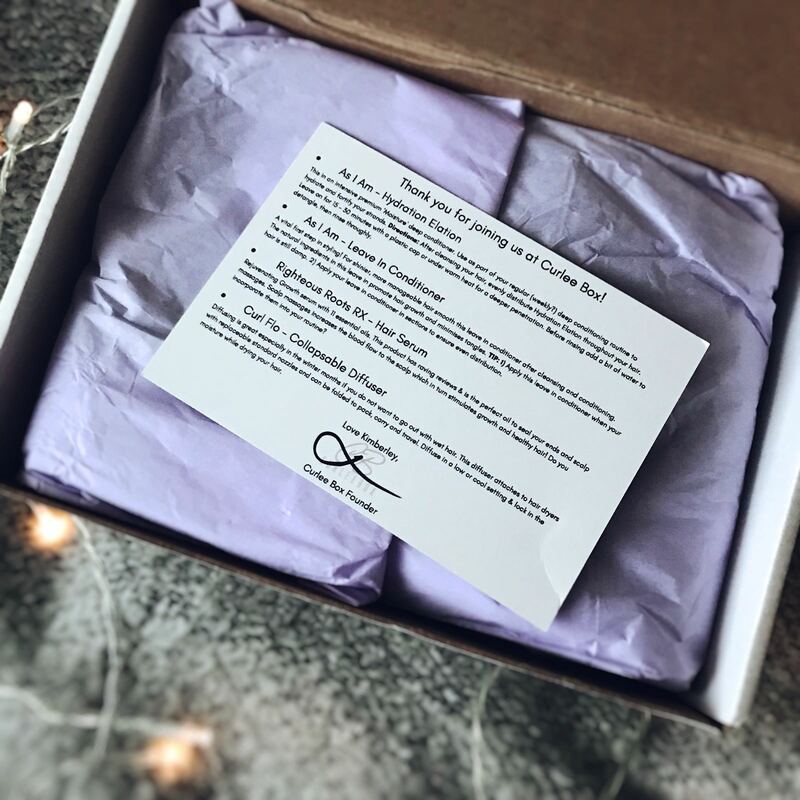 Starting the new year off with an exciting subscription box unboxing post. You would have already seen some of the goodies on my instagram. 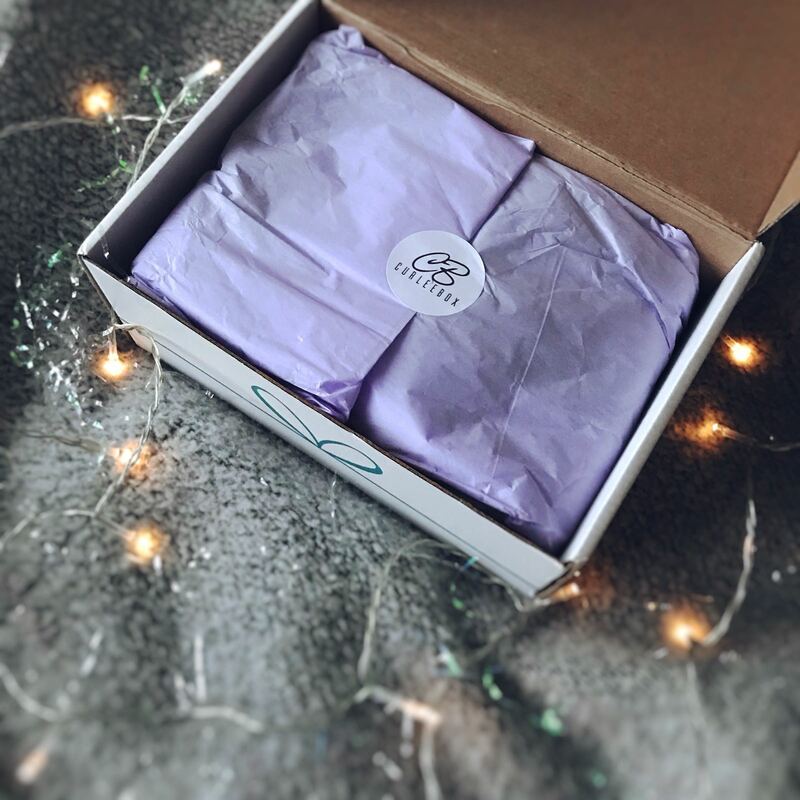 I think a subscription box is a cool way to try out a selection of new products. 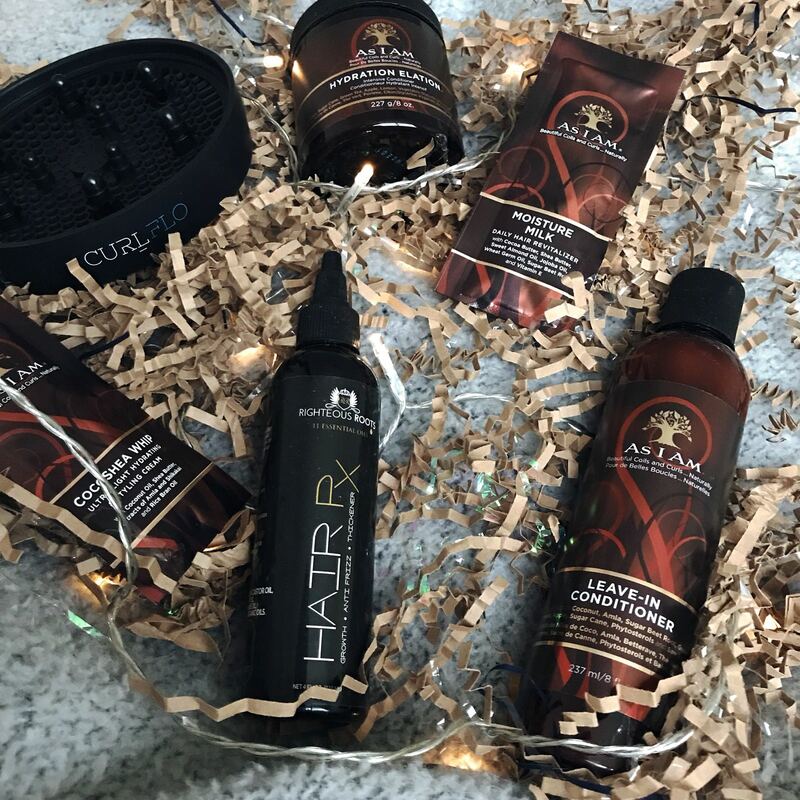 I get way too excited when it comes to hair products, but that can be pretty expensive sometimes. 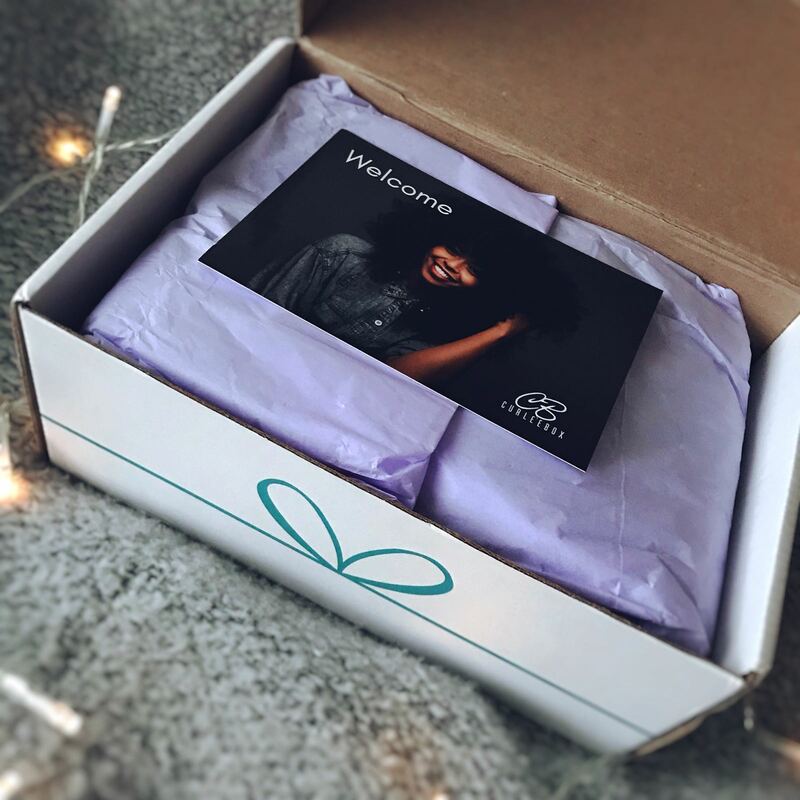 A fun and cheaper alternative is to test out a subscription service. I was kindly gifted Curlee Box first box. I also have a discount code for you, so If you like what you see, you can get some money off your first purchase. 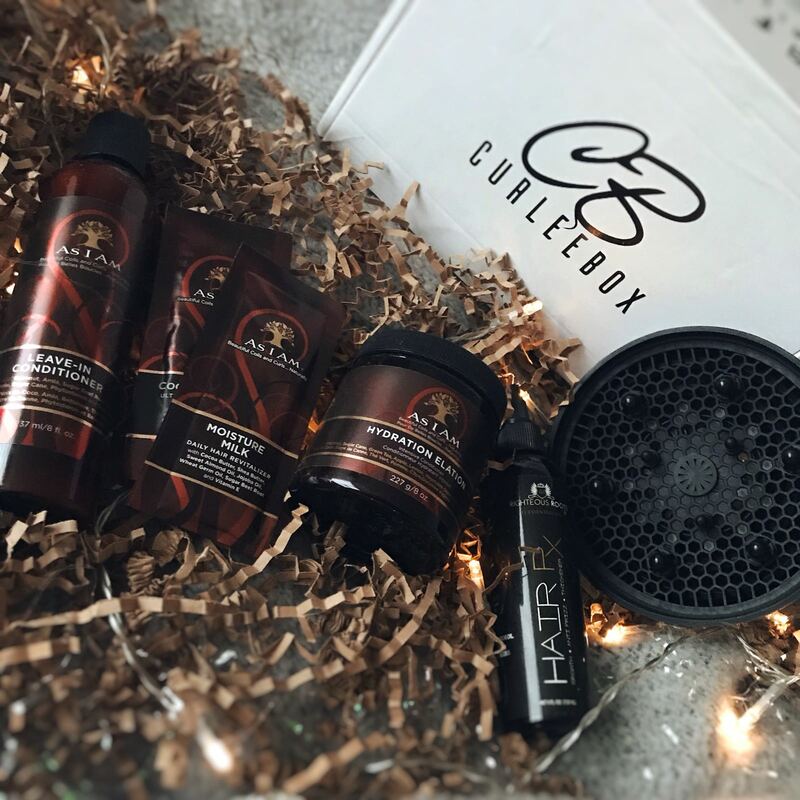 I mentioned Curlee Box in my UK Black Owned Subscription Boxes post, where I express my excitement about trying this box. 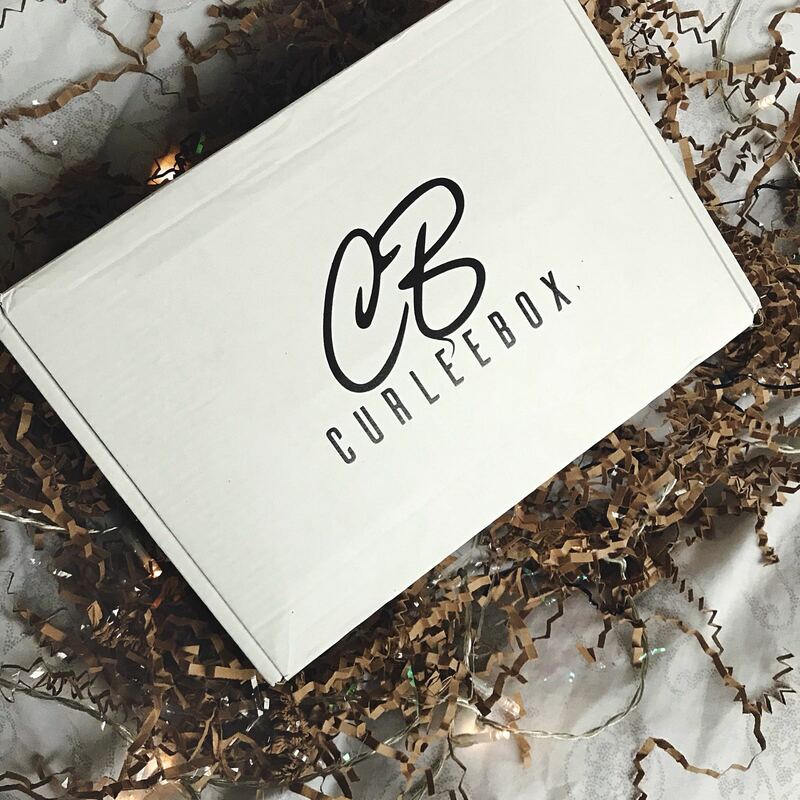 Curlee Box is owned by My Luxe Beauty, If you have a look at the brands stocked on My Luxe Beauty you’ll understand my excitement. Also the universe has just blessed with a load of goodies I had on my mental wish list. 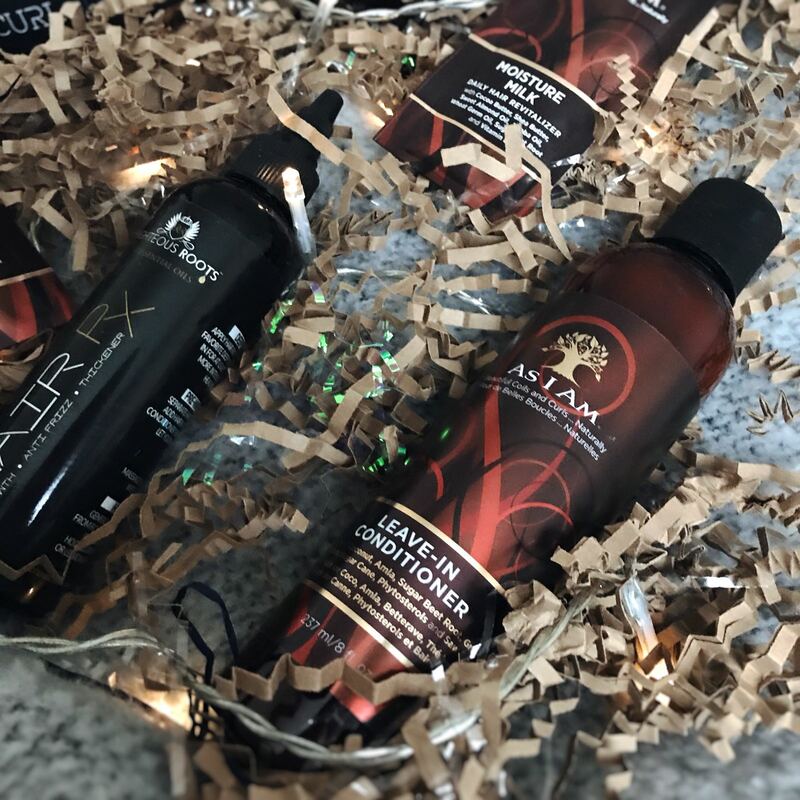 I was telling myself the other day that I wanted to buy myself a diffuser and after testing As I Am‘s Leave In Conditioner (read my first impression here), I wanted to buy the full sized bottle and try the rest of the As I Am range….so guess what’s in this month’s Curlee Box? What’s Inside This Month’s Box? This smells amazing, it has a sweet coconut scent and smells a lot like it could be a dessert. Appears to have a thick consistency, which is perfect because I love a thick deep conditioner. I look forward to using this deep conditioner and seeing how it works with my hair. I shared my thoughts on this product in my Battle Of The Leave In Conditioners post. I tried a sample and really liked how it felt in my hair. I can’t wait to play around with styles using this leave in. This hair serum has the potential to stimulate hair growth, thicken your hair and has both detangling and anti frizz properties. 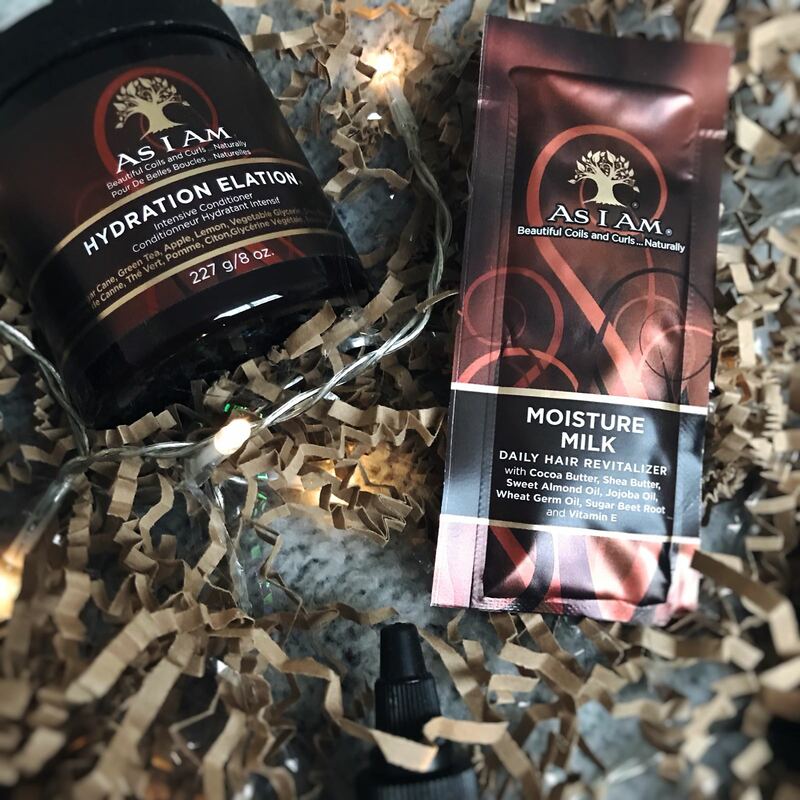 It’s a multi use serum, so you can use it as a daily scalp leave in, a hot oil treatment, you can add it into your favourite deep conditioner or you could use it as a pre-wash treatment. Righteous Roots RX Hair Serum is a blend of 11 essential oil including; 100% Pure Black Jamaican Castor Oil, Organic Virgin Coconut oil, Unrefined organic sesame oil, Tea Tree Oils, Argan, Jojoba and additional natural organic oils. I haven’t heard of Righteous Roots before so I’m intrigued to see what their hair serum is all about. I haven’t used a hot oil treatment yet so I’m going to use this serum as a hot oil treatment and let you know how I get on with it. I can already pick up the scent of the tea tree, it smells light and fresh. This is a collapsible hair dryer attachment. It is made from a flexible, silicone material which fits almost all hair dryers suitable for attachments. 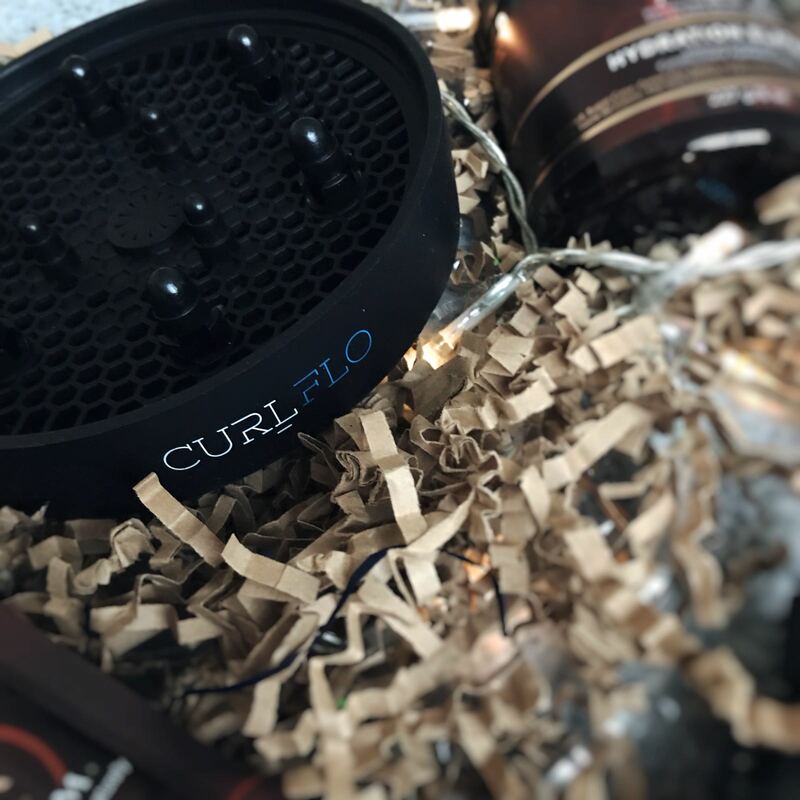 Diffusers help to seal in moisture, dry your curls without the frizz, encourages smooth bouncy waves and curls and helps the hair gain volume. This will be my first time using a Diffuser so it will be interesting to see how it work to define and dry my curls. Might even attempt a wash and go with this. The Moisture Milk is more of a daily styling product, that helps to revitalise the hair. The CocoShea Whip is a light hydrating and styling cream ideal for braid-outs, twist-outs and knot-outs. 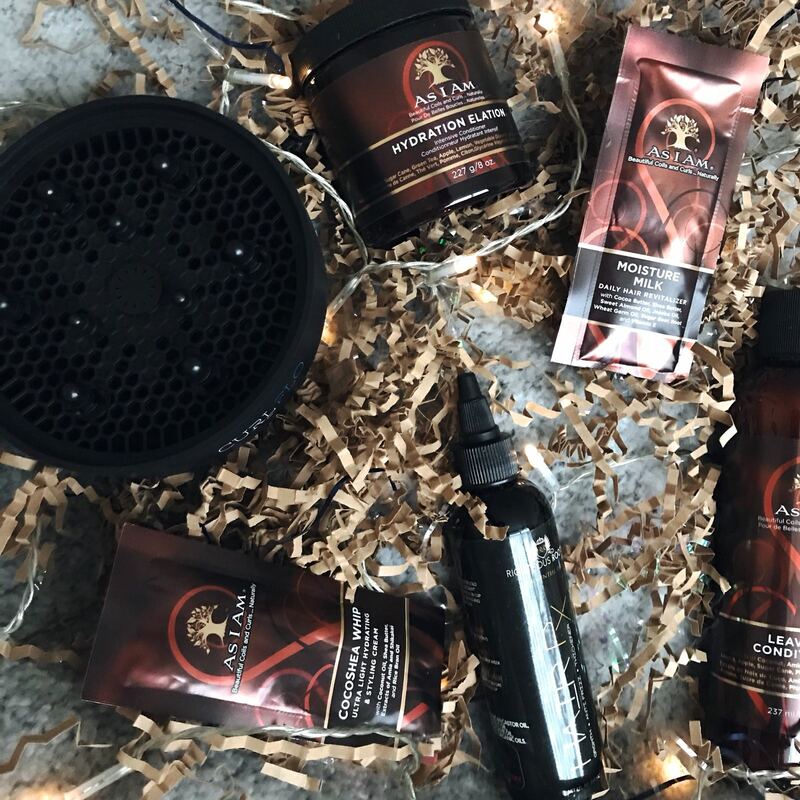 I’ll be letting you know how I get on with these products, so make sure you’re following me on my social platforms to get all the first impressions. All in all I am really pleased with this box, Curlee Box truly delivered with their first box. Thank you again Curlee Box for sending me this box, I can’t wait to see what is in next month’s box. Previous December: 2017 What A Year!